There are three certainties in life – death, taxes and the Black Isle Show. 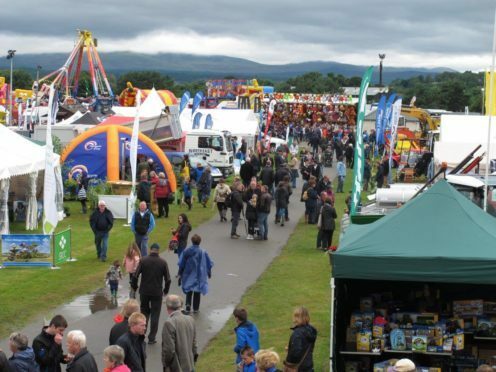 It’s the largest agricultural show in the north, and a key event on every Highland farmer’s calendar. And while the show is, and always will be, primarily an event for farmers, it’s now a firm favourite with families as a complete family day out. Show secretary, Rod Mackenzie, said agricultural shows all over the country now provide a lot more than just livestock competitions. “In the Highlands, farming and crofting is a lifestyle, and many of the families who come here have agricultural connections, even if they don’t own or work on one,” said Mr Mackenzie. “The show is 181 years old, but like other shows, we’ve changed with the times, and there’s no doubt about it – the show is absolutely a fun day out for the whole family. He said him and the show organiser’s have had to up their game to come up with more ways to entice a wider audience. “Clearly the show is very much about farming and we still have all the different classes, and it’s very much a competition for the farming fraternity,” said Mr Mackenzie. This year the show has extended its entertainment and there will be live music throughout the day and evening, right through to the traditional dance. The North of Scotland Highland Cattle Club is celebrating its 25th anniversary this year with a featured shown the sheep section, there will be the addition of a Scottish National Jacob Show. The Discovery Area has been expanded after a successful introduction last year. Mr Mackenzie added: “Education is important to us and the Discovery Area is aimed at the younger generation to highlight the importance of farming and agricultural processes. “One of the highlights this year will be monster trucks Big Pete and the Grim Reaper who will take to the main arena to wow the crowds and there will be the more traditional but ever-popular livestock parade, and vintage tractor show. He said a host of judges from across the country would descend on the showfield to assess the livestock and horses on display. The beef interbreed and pairs contest will be judged by Bob Adam of Newhouse of Glamis, near Forfar, while the sheep interbreed championship will be decided on by Lanarkshire farmer Jimmy Warnock. The show begins with a preview evening on Wednesday August 1, and the main show is on Thursday August 2.